Yo! 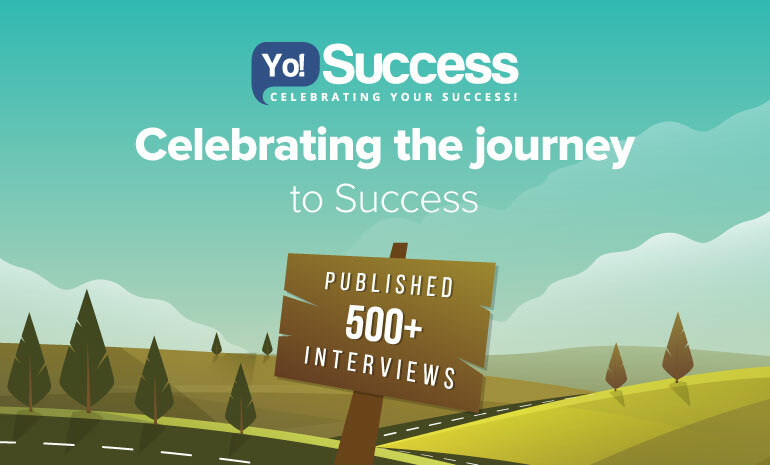 Success surpasses 500 Interviews ! Thank you so much for the love. As Yo! Success celebrates its successful career of uninterrupted service to the start-up community; we’d like to take this opportunity to express our gratitude to all for helping us cross another milestone! This is big SHOUT OUT, to all you crazy people out there; all the Entrepreneurs, Visionaries, Aspirers, Readers, and everyone else who has supported in our efforts to reach where we have. A big THANK YOU! In such a short period, not only have we published our 500th Interview recently, but we have also grown on to become a 62K follower’s community on Facebook as well! In the world of start-ups, anniversaries are a big deal. It not only denotes the success of our initiative but also symbolizes the amount of love it has received from the masses! It only helps us understand the amount of value we have added to your lives, and how important we are to the society. That’s mostly because 90% of them fail midway. With immense and cut-throat competition; indeed, we have come a long way from being a start-up amongst the many giants, to reaching where we are today. And the credit belongs to everyone one of you out there! You have always helped us with your feedback, information and most importantly, your much-needed motivation; which has helped us, to help you better! It is because of you all, that we have managed to attain this tremendous growth and have built eminent goodwill in the community. You have made way not only into our hearts but have become an integral part of our Yo! Family! We would like to take this opportunity to thank, not only our readers but also our interviewees, who believed in us and gave us a chance to share their stories of success. Together, we have made Yo! Success “Our” Success! Let’s show you how our Journey has been so far….! Many full moons ago, an initiative was taken!! An initiative that, in many ways, was an extension of our passion! An initiative that wanted to help the start-up community, in every way that it could! Their Moto was to Contribute, Inspire & Embellish Entrepreneurship! Yo! Success had initially started off as a Business Magazine that aimed to share stories of visionaries and ambitious people from all around the world, who are implementing a pioneering idea that could make the world a better place to live. It was an initiative to build a community of Entrepreneurs, Start-ups & Industry Stalwarts to celebrate their success, but also to learn from their shortfalls and challenges. This was a step towards providing a platform to ideas of all kinds and formats, from all the fields and industries, which were aimed at bringing about a positive change in the society, and those that helped simplify life. We wanted to create a community of the Visionaries who had and have undertaken a journey to convert an idea into reality using the path of innovation. And this Innovation that we speak of, was not only just limited to the new technology that was being created, but this was including anything and everything from a unique business model, unmatchable supply chain or for that matter implementation of new services as well. But the main motive behind us launching this platform was to inspire the Ambitious Entrepreneurs and to create a one-stop platform that would bridge the gap between the established and the budding Entrepreneurs. While at it, we eventually also added something for everyone by way of our own blog! We brought to our readers, a curated piece of the most interesting Industry updates, App Updates, Expert Tips and lots more to stay connected, as well. When we had first started, the Internet was still young and companies were just starting to take advantage of its ever-present connectivity. Since then, technology has come a long way and has transformed to become an integral part of the society. And so have we! Many predicted that it would not even last a month in this world, that we were too unrealistic to lead it to success, and that it would eventually, end up into a “virtual” mess! Fortunately, these people were wrong. But it was not us who proved them wrong; it was you! Over the period of time, we evolved and grew on to become a big family, “Yo! Family” of Achievers, Thinkers, Leaders, Start-ups, CEOs, Entrepreneurs and all those who were doing their bit to make the world a better and simpler place to live! Sandeep Aggarwal – with 17 years of global experience in business operations, strategy and investment, focusing on Internet and technology, Sandeep is now famously known for his ventures Shopclues and Doom. Dhruvil Sanghvi – with a past experience of working with Deloitte Consulting and Ernst & Young Technology Advisory, along with an extensive experience of advising a variety of Fortune 500 companies, starting from logistics companies to state and federal governments, on how to convert Big Data into intelligence; he now serves as the CEO of LogiNext. Vishwas Shringi – after attaining a strong and diversified working experience of more than 20 years, with companies like Amazon.com and with various other firms, he then founded Voylla.com and is also the CEO of the company! Annurag Batra – with a creative and pragmatic approach; the shrewd businessman that he is, Annurag is the Chairman & Editor- in- Chief of exchange4media and BW Businessworld. Rohan Bhargava – after working with investment companies like Aladdin Capital Management and Washington Square Capital Management, he then Cofounded CashKaro.com, one of the top online brands and offers cashbacks & vouchers of popular businesses like Yatra, Jabong, Myntra, Flipkart, and dominos. Sramana Mitra – after working as a Strategy Consultant in the Silicon Valley since 1994, she has gone on to found companies including Dais, Intarka, Uuma, and her most famous venture ‘One Million by One Million’, through which she offers easy accessibility to budding entrepreneurs and business aspirants to resources like methodology, knowledge and networks etc..
Abhinav Agarwal – after completing his education from the IIT (Mumbai) and working with McKinsey as a consultant; he is now the CEO and Founder of Doormint. And it is because of all our supporters and well-wishers; today, Yo! Success now commands a share of the dominating position in the world of media. Again, this is not just our success; it belongs more, to every one of you! And for that, we’d like to take this opportunity to wish you a hearty congratulation on your success, in making us a success! 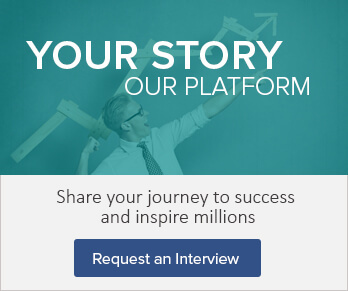 We help you make your Business Journey heard by sharing your entrepreneurial experience. 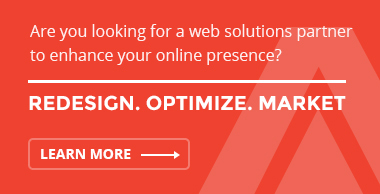 And No, we do not have any single specialty, but instead, we work with our clients to help them navigate the digital realm and provide solutions that support their short and long term business goals. We help them to take leverage of technology and position them in the market in a way that would help them create a better image amongst the masses and their customers. We Discover Success Stories of Business tycoons, achievers, pioneers, leaders, time-honoured businesses and inspirational bodies from all domains that have a tale to inspire! These stories of start-ups, entrepreneurs, SMEs, CEOs and promising businesses are a culmination of their success, Struggle, dream, vision, and perseverance. We will share the online link to our questionnaire with you (after you are through with an initial review from our analysts and experts). You would need to fill the answers and submit the form. After getting the filled response our team will review and publish it on our platform. By doing so, we not only help you by sharing your story, but we also help you in building your brand, by making sure that people read about you via our various channels including social networks and content sharing platforms. 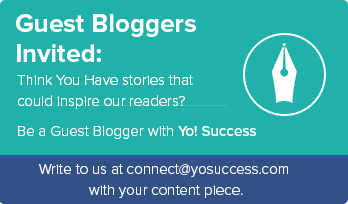 If you wish to share your story with millions through Yo! 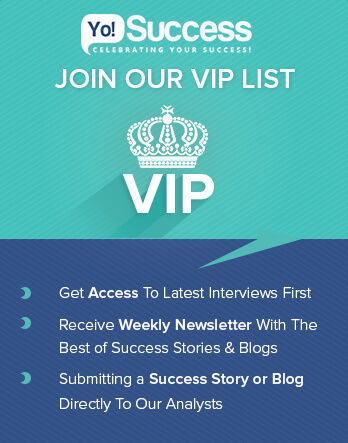 Success, all you need to do is, just add your personal / business details along with some contact information and drop in an email at connect@yosuccess.com or connect with us via “Contact Us” form on the site and one of our team members will get back to assist you within 48hrs.